Park Forest, IL-(ENEWSPF)- Park Forest is hoping to eliminate any possibility of improper hires. Village board members voted unanimously to adopt an amendment that adds anti-nepotism language to an already existing ordinance outlining the responsibilities of the Village Manager. In amending the ordinance, Village officials look to add on to a longstanding practice of hiring based on “merit and fitness” but with more stringent language to eliminate incorrect interpretation and make more clear the Village’s position on nepotism. “Every organization has its own culture. 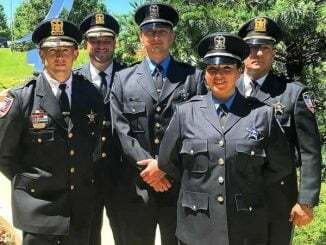 Park Forest’s decades-long culture of qualifications-based hiring and promotions is the standard for how the Village goes about its business. The new policy simply codifies what has already been the practice,” Mick said. “Most municipalities do not take action of this form, codified as an ordinance. It’s a very, in my mind, courageous move — and admirable move — on the part of this board to put this into a codified form where if there’s any violation it’s actually an ordinance violation which is punishable like any other ordinance violations are,” Ostenburg said.